Friends Of Pho one of the city’s favourite Asian restaurant celebrates Poila Baisakh with an awesome Asian buffet menu. The elaborate spread includes everything one craves for, starting from a hot bowl of soup to delicious desserts. 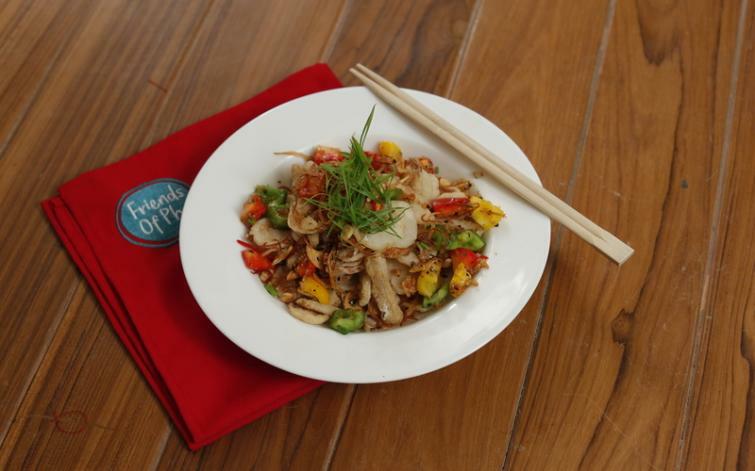 The set menu has on offer both vegetarian and non-vegetarian and will be available on Apr 15. Chef’s recommends Manchow Soup Veg/ Non-Veg, Fish Chilli Pepper, Drums Of Heaven Hong Kong Style, Kung Pao Cottage Cheese, Prawn and Lemongrass Chilli, Chilli Chicken, Hong Kong Vegetables, Vegetable Burnt Garlic Friend Rice, Coconut Creamy Dim Sum and Bread Butter Pudding. (Rs 800/- plus taxes per person). 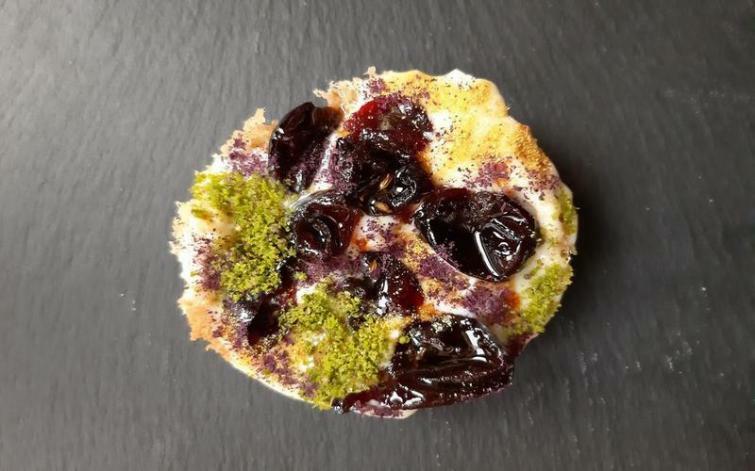 Grace, the modern Indian vegetarian restaurant at the Kolkata Centre For Creativity, has designed a very special menu to usher in the Bengali New Year. An innovative set menu includes Ghol Caviar, Mango, Miso & Cumin, Kumro Phool Bhaja, Kosha Enchor and Bhaat, Kanchaa Amer Chatni, Kul er Mishti Doi, Omboler Sharbot and Tea With Tea. It will be on offer from Apr 12 to 15 between 11 am and 7 pm. ( Rs. 999/- plus taxes per person). Go for a healthy diet at Master Dimsum this Poila Baisakh. Choose from Sui Mai, Fish Ball Noodle Soup, Thai Dumplings, Chili Chicken Momo, Chicken Sweet and Sour Momo and Prawn Schezwan Momo amongst others. Apr 15 is the day to gorge between 11 am and 10 pm. ( Rs 400/- plus taxes per person). 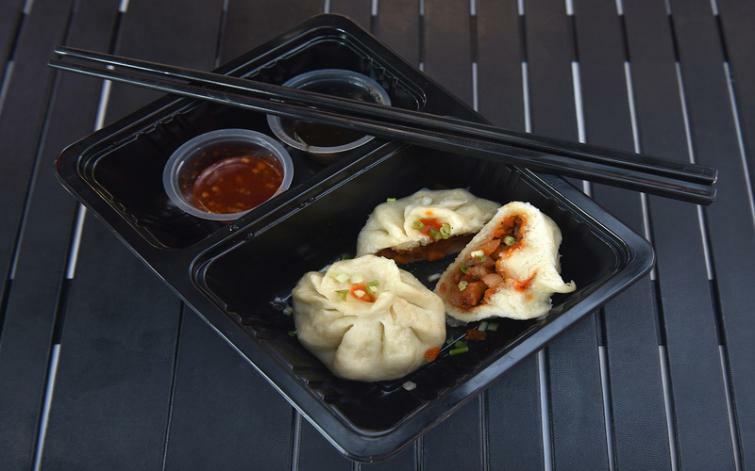 Chef’s Pick: Thai Dumplings and Chili Chicken Momo. At Chapter 2 relish their Poila Baishakh Special Menu. Chapter 2 has drawn up a plan to regale its customers with a mix of retro and modern Bengali songs ( Sankha Subhra Ghosh to perform from 7pm onwards) over a sumptuous meal consisting of old Kolkata favourites like Cream Of Chicken Soup, Seafood Chowder, Prawn Cocktail, English Fish Fingers, Chicken Roast, Beckti Lemon Grilled, Spaghetti In Tomato Sauce, Grilled Beckti And Prawn Steak, Cheesecake and Tiramisu. Chapter 2 is supposed to be Kolkata’s only retro dining restaurant. Be there to savour the music and the special menu. 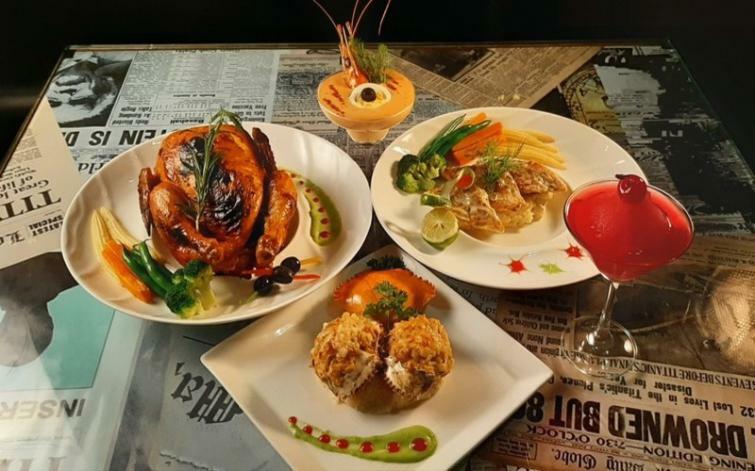 Go for the Chef’s pick: Prawn Cocktail, Chicken Roast And Beckti Lemon Grilled. Don’t miss the date…Apr 15 between 12 noon and 10.30 pm. ( Rs 1000/-plus taxes for two persons). 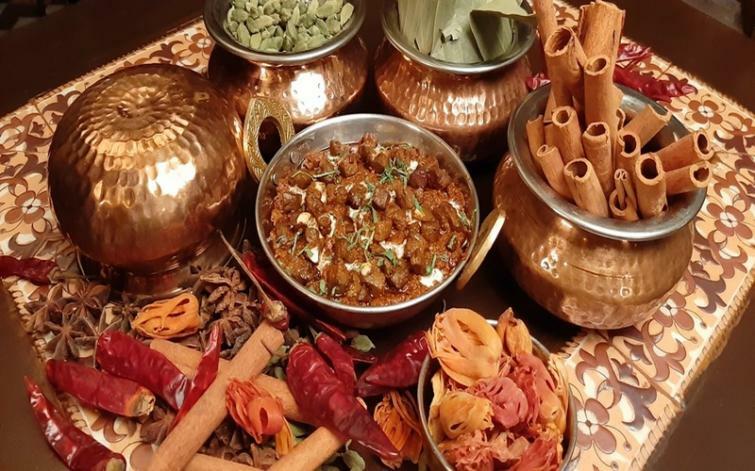 Oudh 1590 will welcome the Bengali new year with authentic Awadhi dishes. Start your Poila Baisakh meal with scrumptious Awadhi Sugandhi Mahi and Fish Zafrani Tikka. Move over to the main course with items like Murgh Purdah Biryani, Jheenga, Biryani or Moti biryani pairing them with Keema Kaleji, Mahi Kaliya or Irani Jheenga Masala. Conclude your lunch with a sweet note with Shahi Tukda. Chef’s Pick: Murgh Purdah Biryani and Keema Kaleji. Have a date with Oudh 1590 on Apr 15 between 12:30 pm to 3:00 pm and 6:30 pm to 10:30 pm. (Rs.1000/- plus taxes for two persons). Soup: Laal Daal Sorba and Rossuni Paya Shorba. Salads: Garden Green Salad, Laccha Onion (Vinaigrette Dressing, Honey Lemon Dressing, Cocktail Dressing), Gondhoraj Lemon Wedges, Green Chillies, Roasted Papad & Fried Papad. Home Made Pickle: Onion, Row Mango, Lemon, Green Chilli, Amla Tomato Chutney, Aamsatta Khejurer Chutney & Anaraser Chutney. Make Your Own Raita: Onion, Cucumber, Mint, Boondi & Ananras. Starters: Jhuri Aloo Bhaja, Chaka Begun Bhaja, Laal Shaag, Topse Bhaja & Machher Chop. For the non-vegetarian main course—choose from Mutton Biryani, Murshidabadi Murgh Korma, Mocha Chingri and Kolaghater Sorse Maach. For the vegetarian selection go for… Ghee Bhat, Mirchi Pulao, Sonali Mung Dal, Potol Posto, Gach Pathar Kalia, Palang Bori, Luchi and Koraisutir Kochuri. Finish your meal with their dessert selection… Shaktigarer Lagcha, Komola Bhog, Baked Mihidana, Nolen Gurer Payesh and Choice Of Ice Cream. End it with a Mukh Sudhii… Pan Masala. This special menu is on offer only on Apr 15 …for lunch from 12.30 pm to 4 pm, and, for dinner between 7 pm and 11.00 pm. ( Rs 799/- plus taxes per person).